I was lucky to travel during my Tihar holidays to Delhi, Agra and Jaipur. It has been a wonderful time to discover new places, eat and taste different foods and meet new people. The last day, my friend and I thought that we had enough going to so many monuments and all, so we decided to spend our last day doing some shopping in the Connaught Delhi. I was surprised to find several brands that we found in the West (Marks & Spencer, The Body Shop, Zara, H&M..). After more than a year without visiting those shops, I was so keen on finding a sweater that would « contain » some wool since the winter is freaking cold in Nepal. 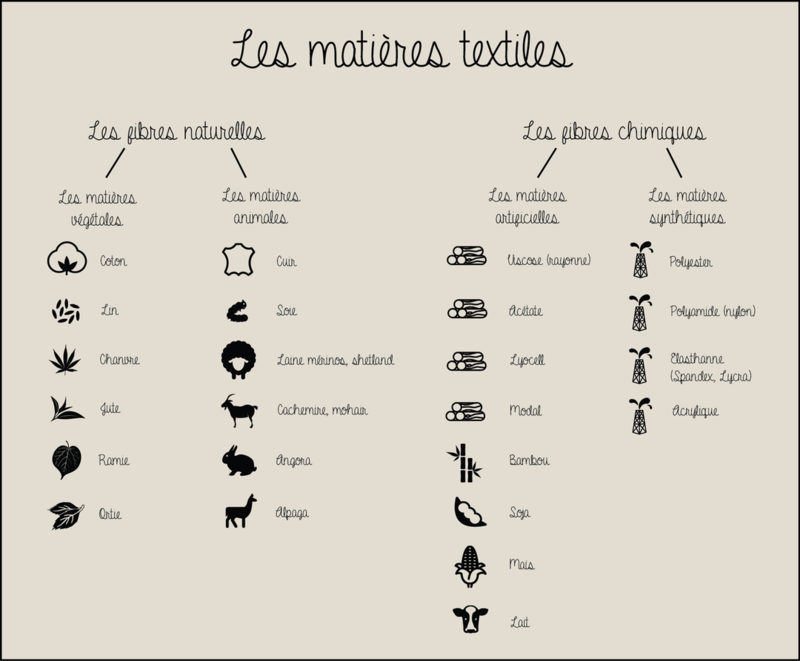 This table presents the different categories of textile materials (sorry for not being able to present it in English…) Clearly, in one side you have the natural textile fibers which are from the plants and animals. On the other side, the chemical textile fibers’s category presents, the ones which are artificial (meaning reprocessed from the natural ones) and the synthesized which are processed materials from chemical ones. At the end, I didn’t find any woolen tops / sweaters and I have decided that for sure, I will find and buy one in Nepal!